Plate covers are an ideal way to keep food hot without the need to reheat. Made of virtually unbreakable plastic, these covers will not break or dent like metal covers, but they can still be used in heated dinnerware carts. When it comes to food presentation, clear plastic plate covers allow guests and servers to identify the meal easily. 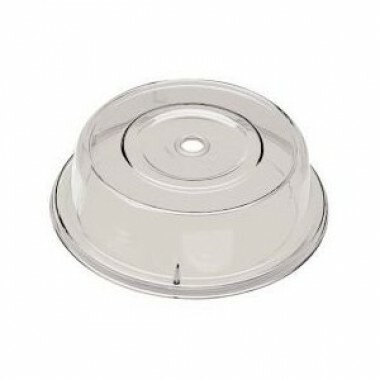 In addition, many clear plastic plate covers are dishwasher safe for easy cleaning. Ask your myBoelter representative for details.